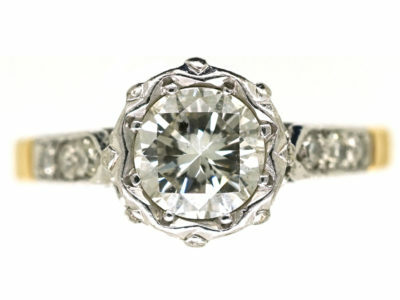 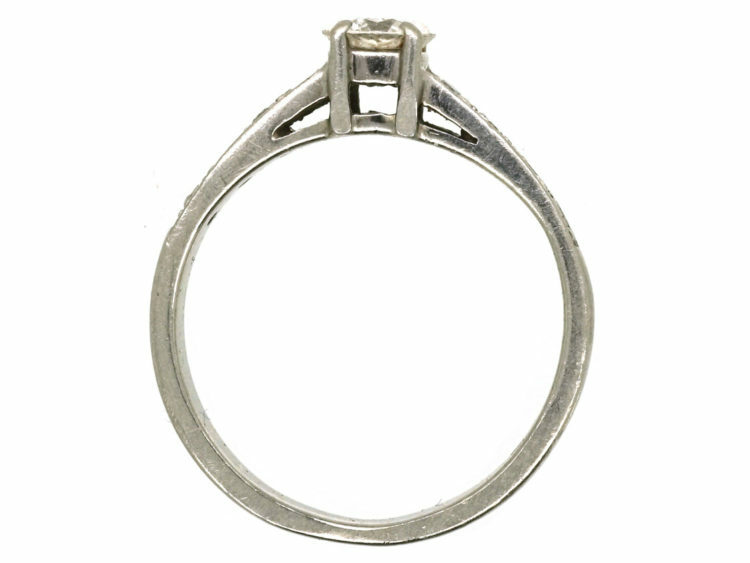 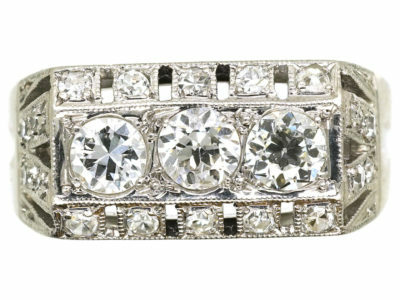 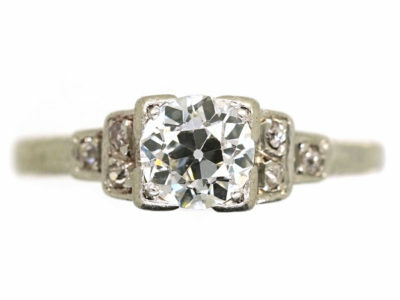 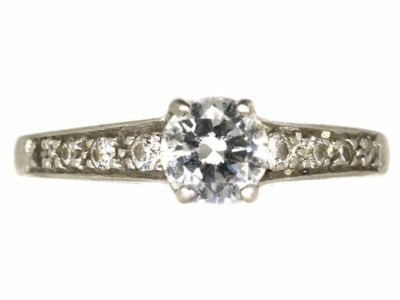 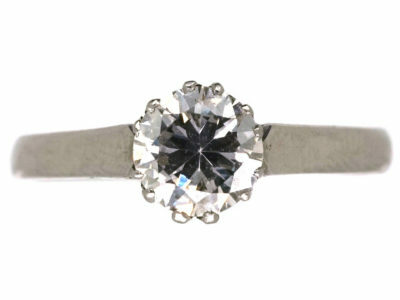 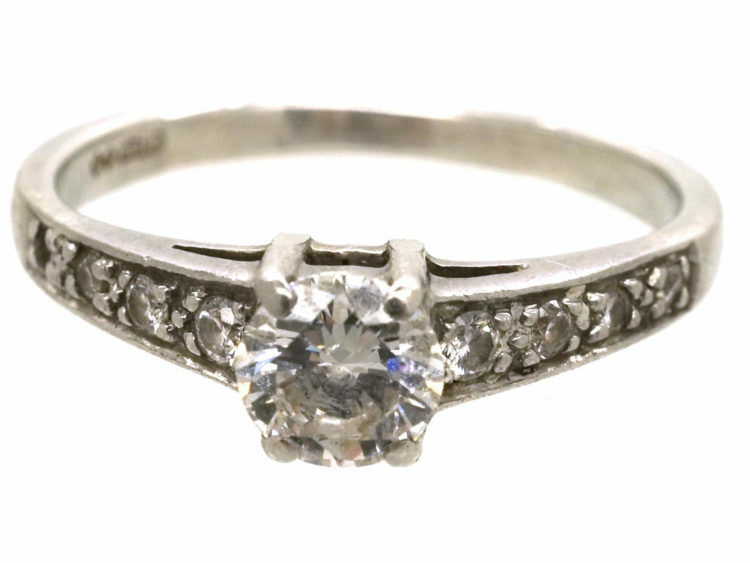 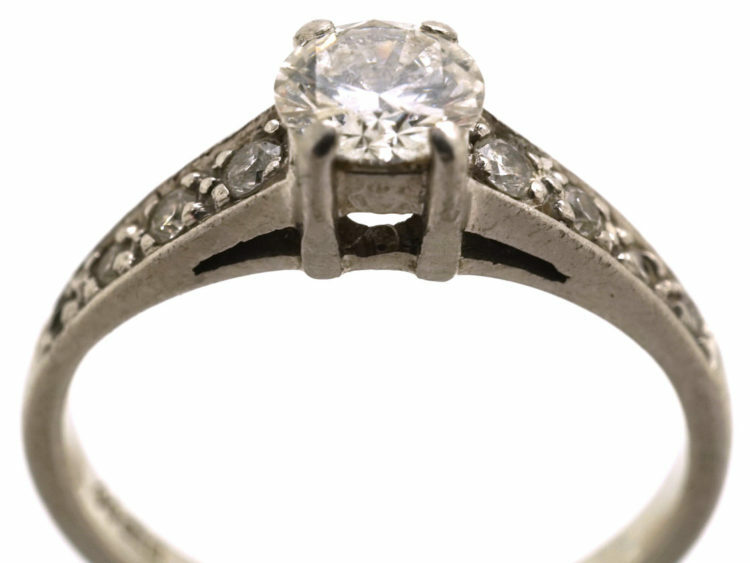 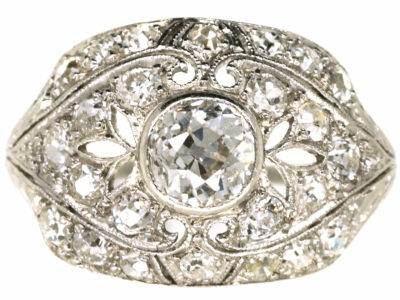 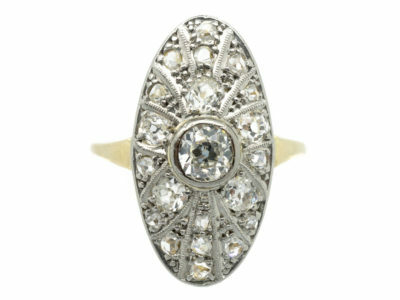 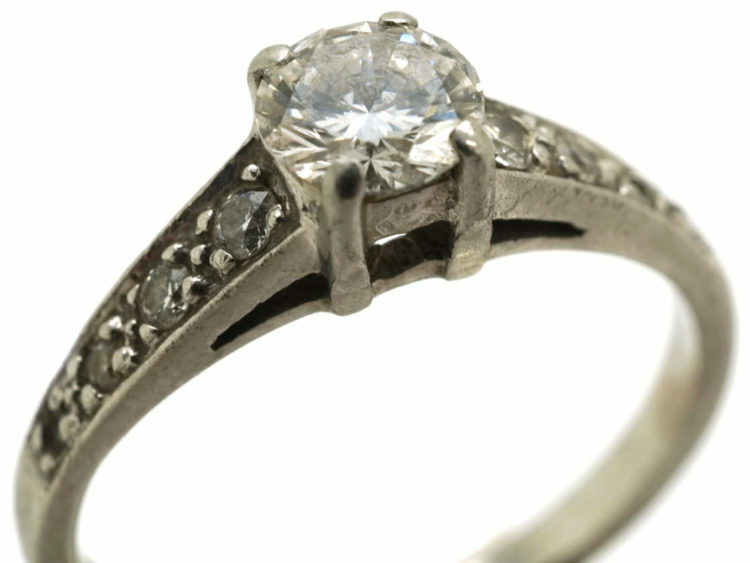 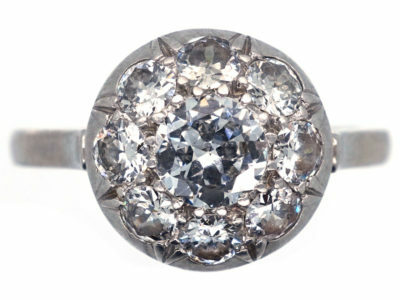 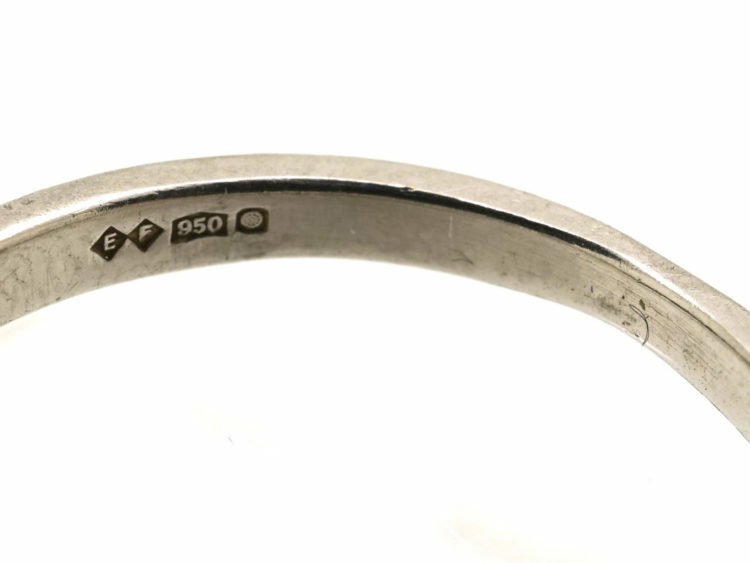 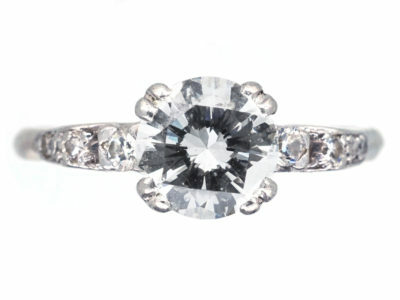 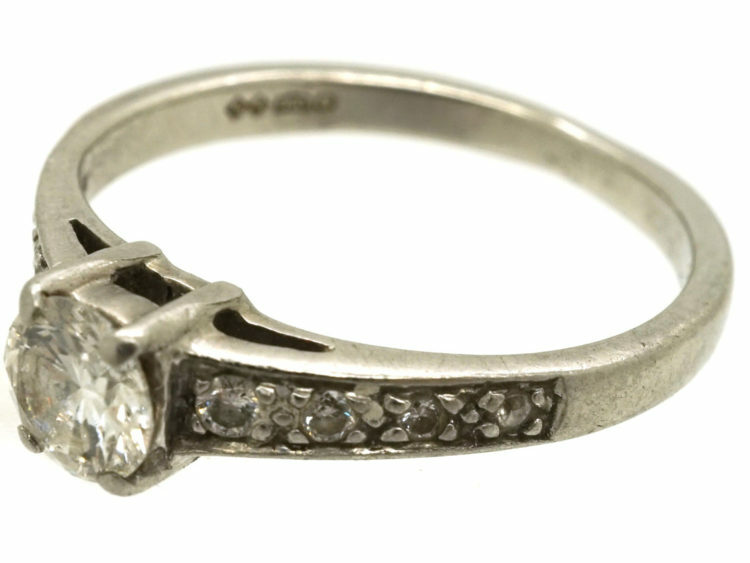 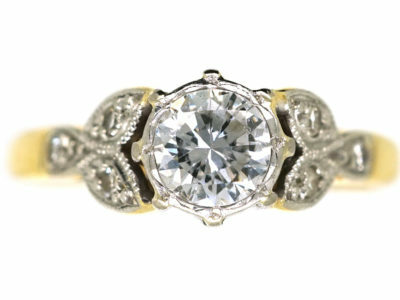 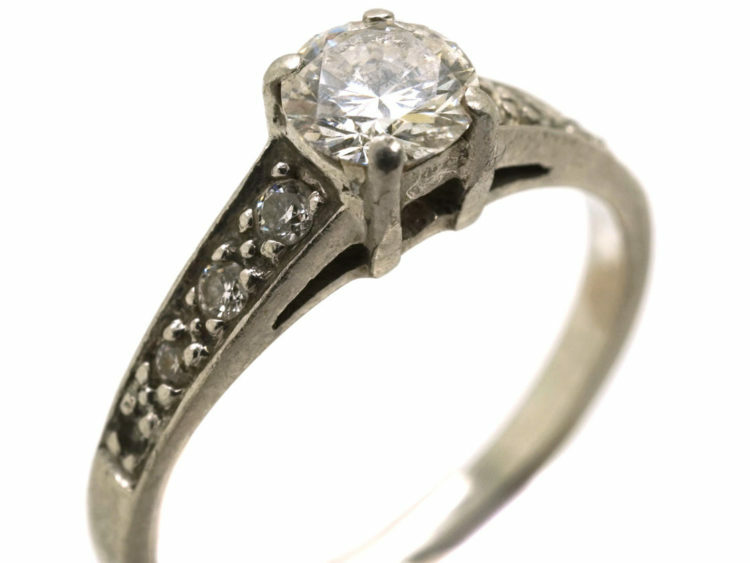 A smart Art Deco platinum ring set with a half carat good white diamond. 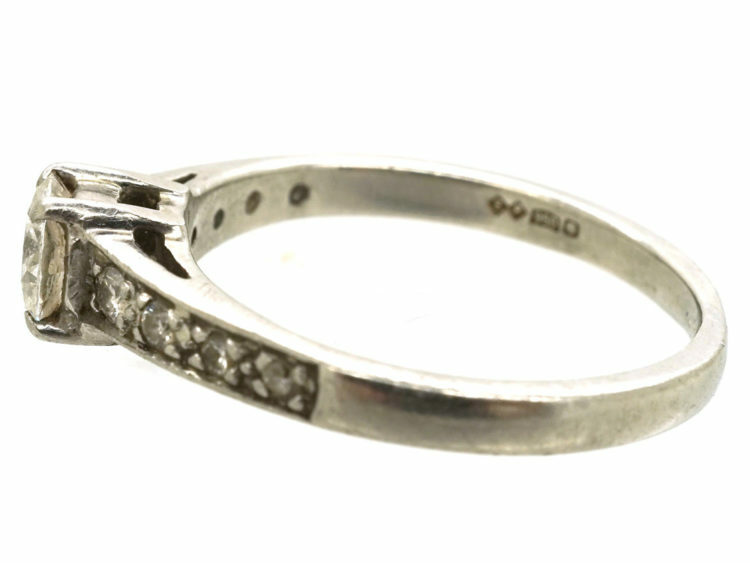 On either side are four graded diamonds. 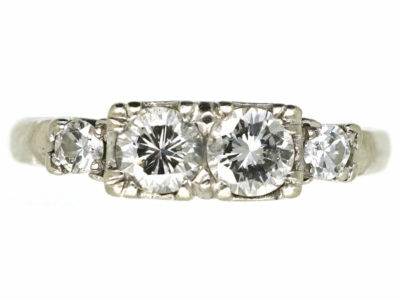 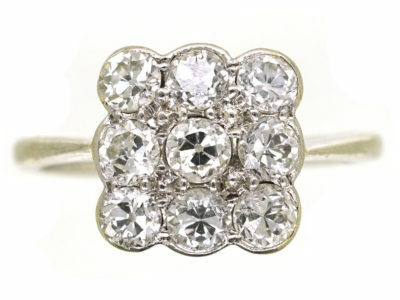 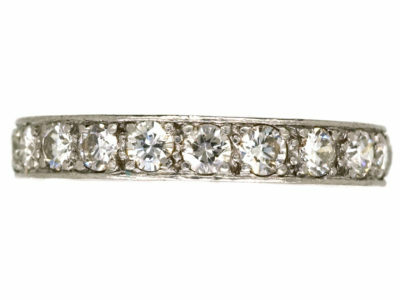 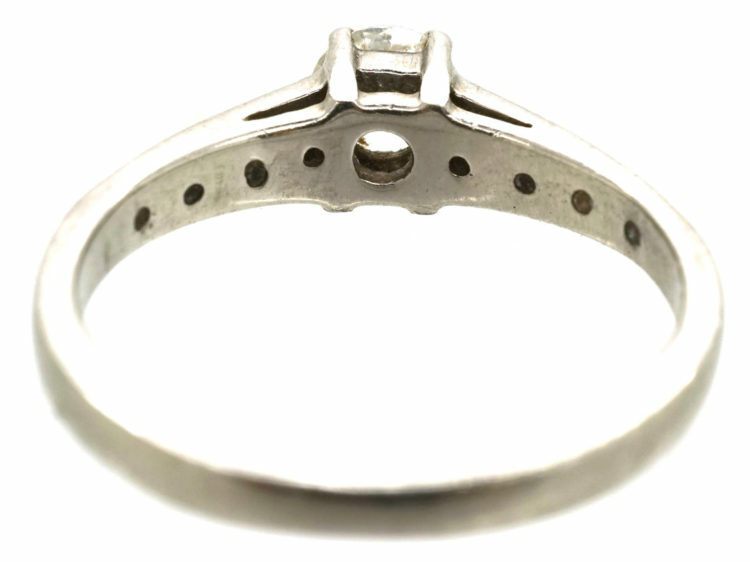 This style of ring is ideal as an engagement ring as you can stack with a wedding band and eternity rings.